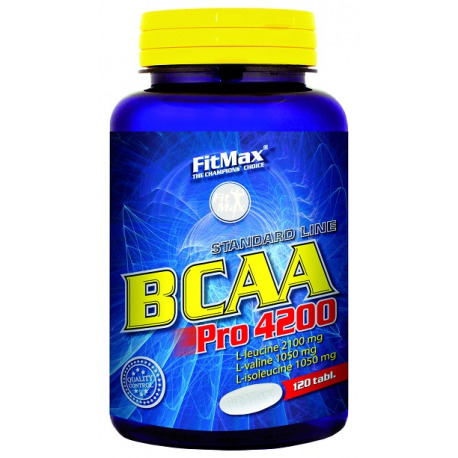 FitMax BCAA Pro 4200, tablets, is composed of 4200 mg of branched amino acids per dose, which perform a number of physiological functions in the body (building, energy, regulatory). They constitute approximately 33% of muscle tissue. The effect of the product components is enhanced by the addition of Vitamins C and B6. Directions for use: once a day, 1 portion (3 tablets) before a training. Wash down with a lot of water or a drink containing carbohydrates (at least 250-300 ml). The product should not be administered to pregnant women and nursing mothers. The recommended amount of the daily use should not be exceeded. Dietary supplements cannot be used as substitutes of the well balanced diet. 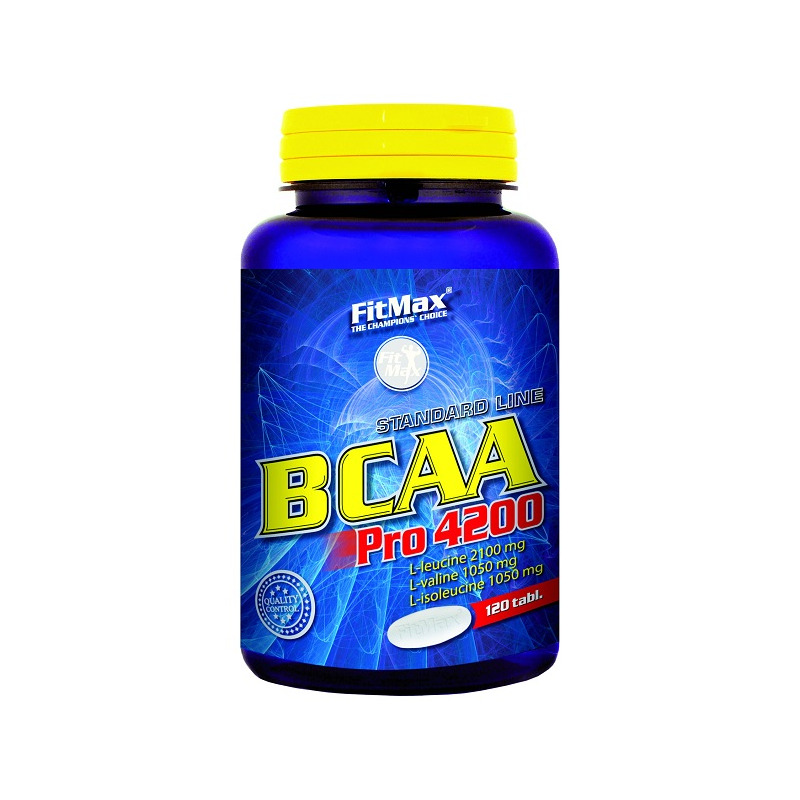 INGREDIENTS: amino acids premix (L-leucine, L-isoleucine, L-valine), microcrystalline cellulose - bulking agent, L-ascorbic acid (vitamin C), silicon dioxide – anti-caking agent, magnesium stearate – anti-caking agent, pyridoxine hydrochloride (vitamin B6).